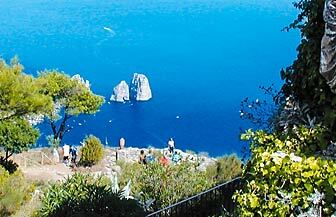 From Amalfi, as long as you catch the early morning ferry or hydrofoil, you can easily visit the 6x3km island of Capri in a day. During the Roman times, Augustus retreated to the island to escape the cares of office and, later, Tiberius moved the Imperial capital here. 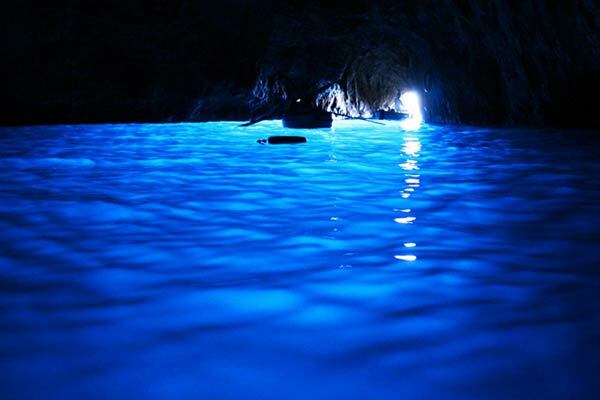 After the Romans left, Capri was rather neglected until the early nineteenth century, when the discovery of the Blue Grotto and the Italian island's remarkable natural landscape coincided nicely with the rise of tourism. 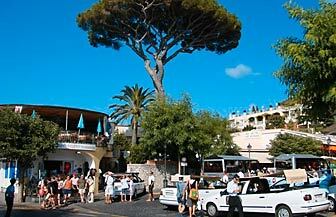 The island has never looked back, attracting a steady flow of artists and writers. 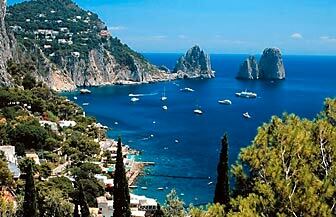 Capri is pure enchantment and can lay fair claim to being the most beautiful island in the Mediterranean. With more than 800 species of plant, it is very much a garden perched on a rugged chunk of limestone. Ferries and hydrofoils dock at Marina Grande. 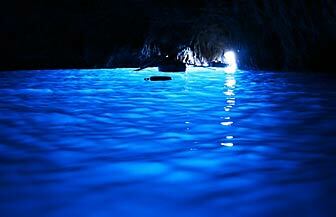 From here, you can take boats to the Blue Grotto or Grotta Azzurra, probably the island's best known feature. 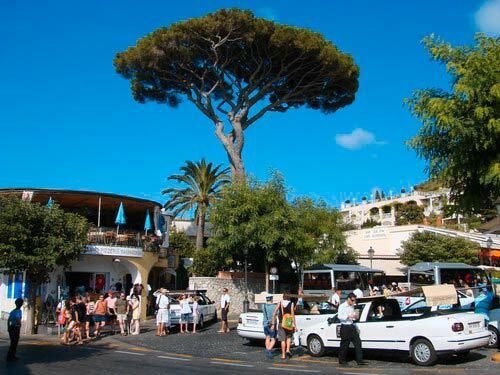 Capri is the main town of the island, nestled between two mountains, its houses connected by winding, hilly alleyways that give onto the main square of Piazza Umberto, crowded with café tables and invariably a lot of people. 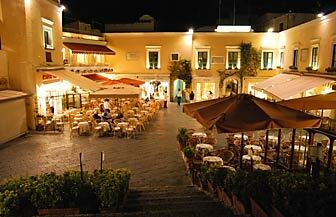 From the Piazzetta, a little lane lined with designer shops and luxury hotels, leads to the Certosa di San Giacomo. 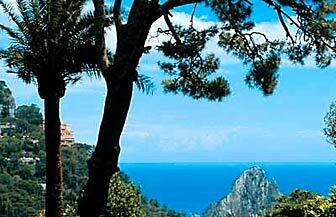 On the right of the monastery, the Giardini di Augusto boasts breathtaking views of the sea and the Faraglioni rocks. 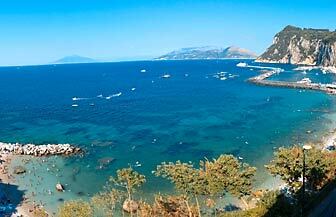 From here, the Via Krupp zig zags its way down to the beach of Marina Piccola. 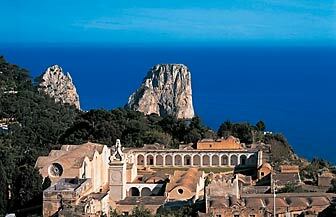 If you decide to stay overnight, make sure you visit Villa Jovis: the best preserved of Emperor Tiberius' villas. 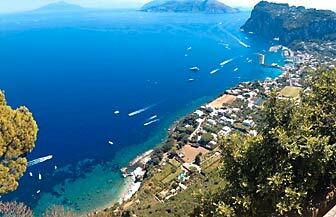 Anacapri is the other main town of the island, more sprawling than Capri itself and less obviously picturesque. 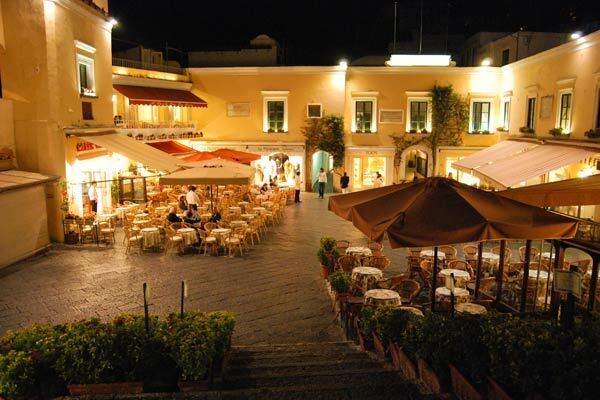 Its main square, Piazza Vittoria, is flanked by souvenir shops, bland fashion boutiques and restaurants decked with tourist menus - Capri without the chic. 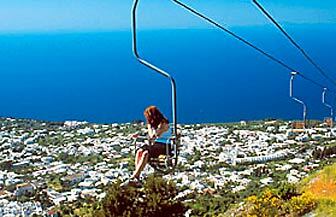 During the season, a chair lift operates from Piazza Vittoria up to Monte Solaro, taking you up to the summit of the mountain in about twelve minutes. 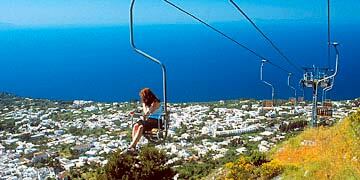 At the top there's only a ruined castle and a café, but the location is very tranquil and the views are marvelous. 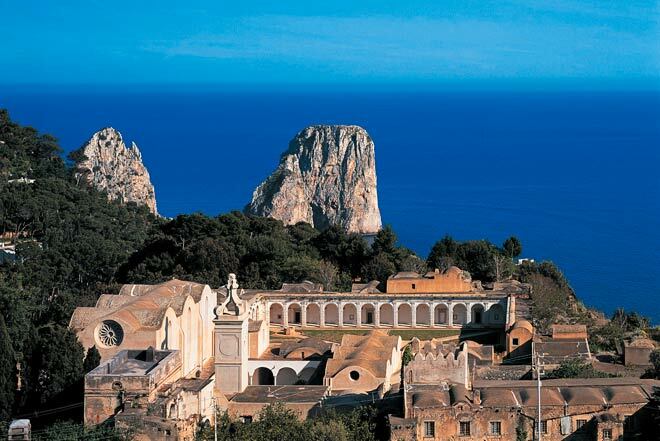 A short walk from the Piazza, the Church of San Michele with its amazing hand-painted tiled floor, is the main attraction in Anacapri. 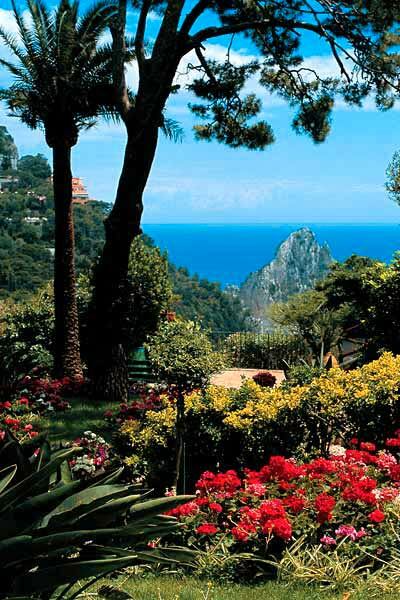 Also worth visiting, Villa San Michele, built by the Swedish author, Axel Munthe, has gorgeous gardens overlooking Marina Grande, the Bay of Naples and Mount Vesuvius.